You are here: Home / Contest / Venus Index Contest #1 Winners Announced! Amazing transformations. Some of these girls look like they’d be on their way to competing in figure/bikini contests. Congratulations! You all worked so hard and look amazing! Alisha!!! You did it! I would love to have witnessed you finding this out! Caroline!!! You are amazing! I’m so happy for you! Can’t wait for the next unsummit! Wow, great job ladies…you all look amazing! Ladies: you’ve all done an amazing job and have made us proud over on the men’s side. You should all be proud of yourselves; we know it was hard work but look at how amazing you all look now! Wow!! Unbelievable job ladies. You all look amazing and the results are quite incredible. Definitely showing the us guys how to get the job done! Awesome job and congrats to everyone who placed and all those that took the challenge of improving themselves! Really stunning X-formations! The dedication and effort really shows up! You really showed up the guys. The pix are fantastic, to sum it up in one word AWESOME! Just wanted to send a huge congratulations to all participants and winners from us Adonis guys! Congratulations ladies! All of you look spectacular! I am soo excited for all of you! Keep up the great work!! Now it’s time to go out and turn some heads!! Wow! Those are some insane transformations and the open contest ladies look amazing! That’s some hard work and dedication right there. Be proud! Absolutely gorgeous. Congratulations to the beautiful Goddesses of Venus Index Contest! Wishing you all nothing but the best!! Although all the winners deserve kudos, I gotta admit that being one who would be starting out on the thicker side, I am motivated most by Maro, Laura, and Karen. I’ve had my Venus manual for several months without doing much. I’ve just in the last few days gotten more consistent with any activity. Maybe May 11…. Congrats to All winners and Participants of Venus Index Contests! You’ve motivated my Mom to Enter the next Contest May 11th. A Special Shout out to Leo “The Lion” Bell 2nd Place Finish in AT4 Trained under Adonis Index Systems. Adonis Index Open Contest Facebook Album Coming soon! Thanks to all the ladies for finishing strong! Wait, I cannot fathom it being so srtaighftorwrad. As for people who are looking to get started on this program, there are some common-sense observations we all can make. Obviously, the closer you are to a manageable weight when you start, the more impressive your transformation will look. This is for 2 reasons. 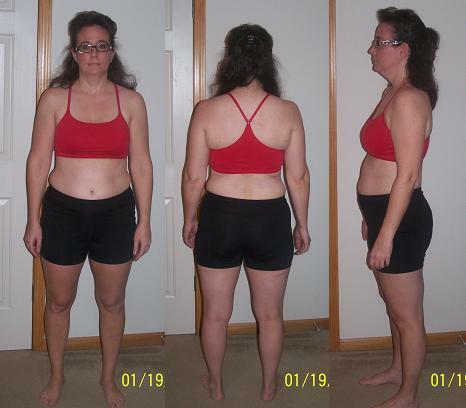 First, muscle definition on a very overweight person is obscured by fat and second, make no mistake, this program is far from easy, and a seriously overweight person will have much trouble completing it beyond first couple of weeks, hence not getting the desired extent of workout, and hence not getting optimal results. And then there is the calorie intake. The calorie intake book that comes with the program is sensible, but unless you already have a reasonable understanding of how many and in what composition calories you personally should consume to lose or maintain weight, you will not find much useful guidance of that topic in the book. And that too is more relevant to overweight people than to the ones who are close to their intended weight. So while inspiration is a great and powerful thing, common sense still rules, and we’ve got to respectfully disagree with the statement that ‘it doesn’t matter at which weight you start, this is a shape-changing program’. It does matter at which weight (relative to your personal optimum) you start, and if you are substantially overweight, a good old walking program is still the first step to take. This is so that your hard work on Venus Index pays off to the max. Apologies for perhaps unwanted dose of realism. And once again, congratulations to the disciplined and focused women who achieved the impressive results above.